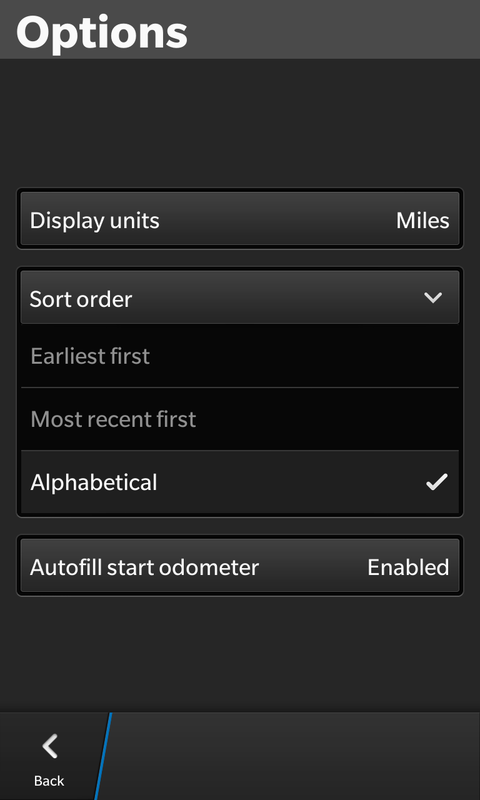 The Mileage Tracker app for BlackBerry 10 has been updated to version 1.4 in BlackBerry World. This new version of the app allows you to have the option to sort entries alphabetically instead of just by date. The update also includes a number of other small improvements to make the app quicker and more efficient. Mileage tracker is a free app designed to help you track the miles you drive on each trip for use on tax deductions, accounting, or employee reimbursements. Instead of keeping this information charted on your computer, it makes much more sense to be able to track this directly on your phone, which you normally would have with you in the car already. 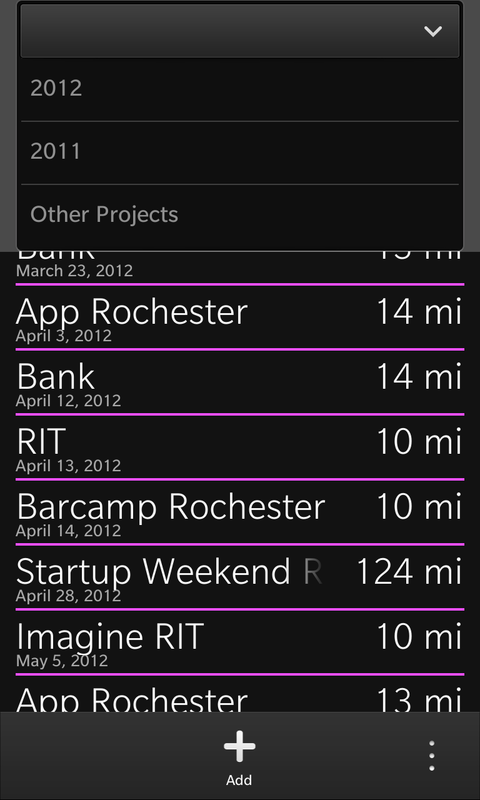 Trips can be grouped into categories, and edited (or deleted) at a later date. Following a one time in-app payment you can export your data into an Excel compatible .csv format and a pretty (and sortable) .html format.